This issue includes news about the release date for the new Paco de Lucia postage stamp! Amigos, a estas horas, me llega la tristísima noticia del fallecimiento de Curro de Jerez, hijo del gran cantaor El Sernita de Jerez. Curro recibió, el pasado otoño, un merecido homenaje en Madrid, sus últimos años estuvieron acompañados de estrecheces económicas; acompañó a grandes cantaores y era un guitarrista de enjundia que echaremos mucho de menos. Estaba casado con Carmen Loreto, cantaora y bailaora. Curro de Jerez - Malagueña. 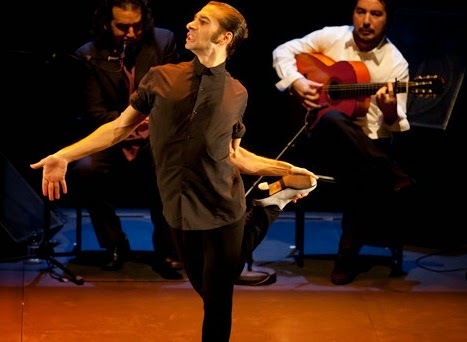 Israel Galván gives flamenco fiery intensity and dream-like quality not to be matched. 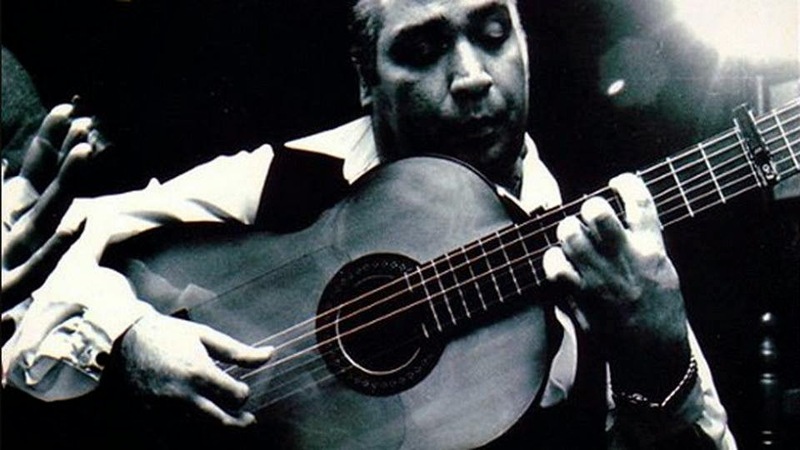 Sevillian-born Galván ranks among flamenco's great mavericks. Galván's prime inspiration is his music. From the opening second you see the extraordinary vividness with which he translates the sounds of his accompanying skilled guitarist, Alfredo Lagos, into physical shape and force, gesturing softly to the first plucked note, then snapping with steel-trap precision. As Galván builds the dance phrase, spiraling its impulse through his lifted arm and focusing it down into a contained rattle of stamping, he sustains a riveting musical tension. When he crosses the stage in a simple walk, the taut lift through his torso and the quiet clicking of his fingers creates the illusion that he is floating high on the line of the guitar. Then he hunkers down into a brief section of richly percussive footwork, it's as though his whole body has descended several octaves. While Galván is making remarkable musical drama with his dancing, he's also spinning new riffs on the imagery of classic flamenco. The traditional ‘torero’ pose, arms angled above the head, index fingers pointing like darts, becomes the starting point for a whirling port-de-bras; the percussive rhythms that are normally reserved for the feet get momentarily transferred to the fingers, as they flutter in the air, then drum across his neck and face. Special to Galván, too, is the rapid, improvisatory quality of his choreography, shifting from staccato speed to resonating stillness in a single phrase and pushing movement through a kaleidoscope of dynamics: the bow-strung profile that releases into a sensual three-dimensional torque; the muscular force that yields to near coquettish grace in his final pose, where his fingers splay like a fan. On a lesser artist the cumulative effect might look busy; but the clarity of Galván's dancing means each phrase evolves through its own necessary logic. Galvan was joined by renowned Jerezano-born vocalist David Lagos. With a repertoire of songs from the Malagueña, through Soleares, Siguiriyas, Farrucas, Martinetes and beloved Bulerías he is a leading presence in today’s cante flamenco (flamenco singing). Lagos proved this evening he is gifted cantaor with a voice full of nuances that overflows with maturity. Brother, Alfredo Lagos, is one of the best guitarists on the current scene. He plays with crisp precision, clean rhythmic sound, rich in harmonic concepts and dialogue with a well-defined compás. Galvan is in the league of genius with absolute mastery of balance and poise. His musicality is astonishing, the sheer kinetic energy of his movement amazing. In short, we witnessed a master class of analysis and synthesis: a provocative and fascinating dancer.